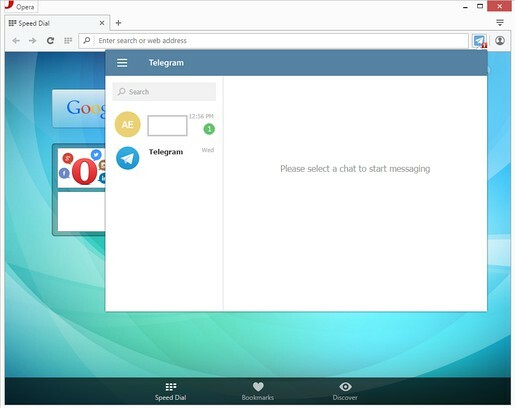 Desktop Messenger for Telegram™ is the easiest way to open Telegram web from your desktop machine. 1. A comprehensive Telegram client right in your Opera toolbar popup. 2. Notifies you (via badge icon text) every time something happens on Telegram within the people in your chat list.